Our Camino tours allow you to get the most from your Camino. We pre-book all your accommodation in carefully selected hotels, inns and hostals which have private rooms and en suite bathrooms. This way you can relax and enjoy your Camino, rather than rush to the next stop in the hope of securing a bed in an overcrowded dorm. 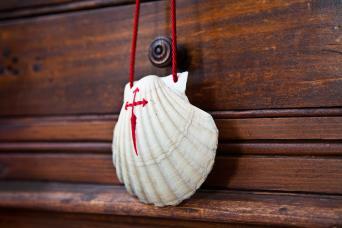 A comprehensive guidebook, information pack and emergency support are all included in your Camino package. Daily door to door baggage transfer is available as an optional extra if you would prefer to walk with just a day pack each day. Our Camino itineraries suit the majority of pilgrims but our Camino experts can of course tailor them to suit your needs. Because our tours are self guided you can start on any date that suits you, subject to availability. The Camino Inglés goes from Ferrol on the north coast of Spain, 116km to Santiago, though beautiful coastal and rural landscapes. As you are walking over 100km you are eligible to receive your Compostela certificate in Santiago upon finishing the route.